Thank you to our board members who generously volunteer their time to support the mission of UFDA. Upon returning from England, Justin was reacquainted with the Soffe family and on August 17, 2004 married Laurel Soffe. Together they have four wonderful children: Dyllan (7), Peyton (6), Izabelle (3), and Dahlia (1). Family is THE most important aspect of Justin's life and he enjoys watching his kids grow up. Prior to working for Jenkins-Soffe Funeral Homes and Cremation Center, Justin worked for UPS as a supervisor. There Justin learned and gained valuable lessons and experiences in leadership, customer service, teamwork and communication. A pivotal point for Justin came in 2009, when he took a chance and asked his father in law, Kurt Soffe, for a job working at the funeral home part time. It did not take long for Justin to understand that Funeral Directing was what he wanted in a career. He immediately enrolled in the mortuary science program at American Academy McAllister Institute in Manhattan, New York where he graduated in 2011. Justin is currently working on his bachelor's degree in Business Management from Western Governors University. Justin and his family currently live in South Jordan, Utah. Justin loves watching and coaching his boys in sporting events and spoiling his two daughters. Being involved in the community is essential to Justin and he does so by serving within his church and being a member of the South Jordan and Southwest Valley Chambers of Commerce. Justin has operated and managed Utah Funeral Directors Cremation Center for the past 2 years and enjoys and thrives on the continued success and improvements that are made there. Along with his time spent at the Cremation Center, Justin is a full time funeral director for Jenkins-Soffe Funeral Homes. The one thing that Justin enjoys most about his career is the special connection made with the families he has the opportunity to serve. Justin has a passion for the Funeral Service profession. One of his greatest desires is to have a positive impact on the profession for future generations. What drives Justin is seeing the opportunity to continually improve and keep the funeral profession relevant within the community. Justin looks forward to his future in the Funeral Service profession with excitement and ambition. Justin lives by the motto that his father taught him as a child, "Stick to the Task until it Sticks to You, Beginners are Many but Enders are Few". Joe has lived in the Garland area his whole life. He attended Bridgerland ATC where he received a Building Construction certificate. He also attended Utah State University. Joe graduated from Arapahoe Community College, in Littleton, Colorado, earning a Mortuary Science degree in 2008. He has been a licensed Pre-Need Sales Agent since 2009. Joe, his brother, Mike, and his father, Ross, have run several farms over the past 25 years. After deciding that farming would not provide his family the security he wanted, Joe worked for Thiokol/ATK before spending the last seven years in the funeral industry working for Rogers and Taylor Mortuary, Myers Mortuary, and Rudd Funeral Home. Joe and Rachell purchased the Bear Country Food & Fuel Station on Main Street in Garland in 2008. They significantly remodeled the building to create Rudd Funeral Home. Joe and Rachell purchased Rogers and Taylor Funeral Home in 2012 to expand their business in the Bear River Valley. Joe and his wife, Rachell, have three children, Josh (Camille) Rudd, Kaitlyn (Colton) Wood, and Chelsea Rudd. He enjoys family activities, watching his daughter cheer, traveling, riding motorcycles, and outdoor recreation. He is also active in church, civic and community organizations. Laura is a second generation funeral director at Broomhead Funeral Home, born to Ron and LaRae Broomhead. She grew up in Riverton, Utah, where she continues to reside with her family. Laura graduated from Bingham High School and Salt Lake Community College. Shortly after graduating, Laura decided to follow in her father’s footsteps to become a funeral director. She attended Mid-America College of Mortuary Science in Jeffersonville, Indiana, and graduated in 1995. Laura is a very dedicated funeral director, and loves being able to serve families at such a difficult time in their lives. Laura has served as a member of DMORT for 18 years, where she has had the privilege to serve those affected by 9/11 in New York City, and Hurricane Katrina in Biloxi, Mississippi. She also serves on the State of Utah Disaster Board with the state Medical Examiner’s Office. Laura was the recipient of the Distinguished Alumni award from Salt Lake Community College in 2012. She was instrumental in developing the Mortuary Science Program at Salt Lake Community College, and served as the first Program Advisory Committee chair. She continues to serve as a member of the committee. Laura was the District I Director for UFDA for four years; she took some time off to focus on her family, and is pleased to be elected to serve again. Laura enjoys reading and cross-stitching, and working in her yard. She especially loves traveling, camping, hiking, and 4-wheeling with her family. She is married to Caesar Procunier. Together they have 4 children, Cedar, Andre, Lexi, and Payton. Brad Rawlins Walker is the oldest son of Allyn and Marsha Walker. He lived in the mortuary most of his life and learned the value of service and hard work from his father, Allyn, and his grandfather, Lynn, at a young age. 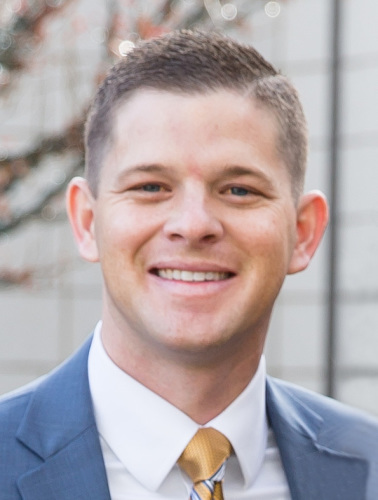 Brad graduated high school in Spanish Fork, earned an Associate Degree from Dixie College, a Bachelor Degree from Brigham Young University, and a Masters Degree (MBA) from Brigham Young University. He also attended mortuary college in Cypress, California and received the Mu Sigma Alpha award for scholastic excellence and the Melvin. D. Hilgenfeld award for outstanding student in funeral directing. Brad is an Eagle Scout, a Rotarian, and served an LDS mission in Rostov-na-Donu, Russia. Brad loves sports, the outdoors, music, movies, and spending time with his family and friends. He married Michelle Lee in 2005 and the two of them have made their home in Payson. They have two beautiful children and enjoy living and serving in their community. 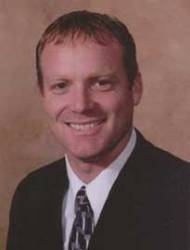 Brad is one of the owners of Walker Funeral Home and has been working there full time for the past 15 years. Brad considers it an honor and privilege to help families with funerals at such a crucial time in their lives. The opportunity to work with his family, associates, and all those around him has been a great blessing in his life. David G. White has been in the mortuary profession since 1995, assisting families in all phases of the funeral process. He has also provided safety and health training for various mortuaries in Utah, California and Arizona for more than 12 of those years. In 2008, he became a Certified Funeral Service Practitioner (CFSP) – an honor granted by the Academy of Professional Service Practice for service in and outside of the profession. He is a licensed funeral director, embalmer and was a Cremation Association of North America (CANA) certified crematory operator. 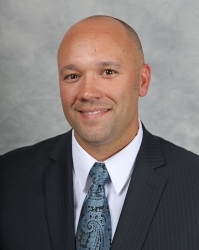 He has also served as a mortuary manager, crematory manager and Director of Personnel Improvement, each position providing new opportunities for teaching and coaching fellow co-workers. Mr. White has been with his current employer, Memorial Mortuaries, as a funeral director since 2003 and currently serves as the mortuary manager for their Murray location. 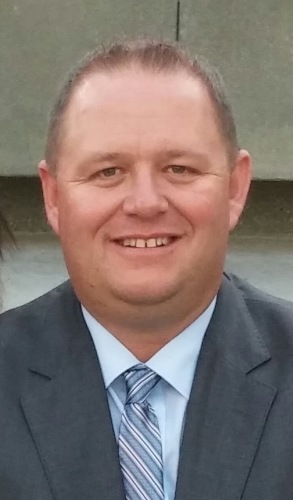 He has also served on the corporate safety committee of Security National Financial Corporation, the Mortuary Science Program Advisory Committee for Salt Lake Community College, the Utah Funeral Director’s Association Education/Best Practices Committee and on the Friends Board of the Salt Lake Children’s Justice Center. He began his career with an Associate’s degree in Mortuary Science in 1997 from Cypress College in California. Mr. White recently graduated from the University of Utah with a Bachelor’s degree in History in 2008. In 2007, he completed OSHA’s 30-hour General Industry Safety and Health course. Outside of his professional career he received the Boy Scout’s highest honor of Eagle Scout and was recognized by the Los Angeles Area Council as Eagle Scout of the Year in 1988. He enjoys the outdoors and especially spending time with his wife and 5 children. Curtis has always wanted to be a funeral director. Even from the early age of 7, he remembers watching the hearse pass by him on the street headed to the cemetery — knowing that someday he would be the one driving that car. Growing up in Nephi, Utah, he is the son of Byron and Rosalie Wilkey and is the sixth of nine children, three of which siblings died in infancy. Curtis is known by all for his peaceful countenance, compassionate understanding and tender care for those who have lost their loved ones. Directed and determined all his life, he is now extremely accomplished in every aspect of what it takes to be an excellent funeral director, father, and husband — all of which are very important to him. 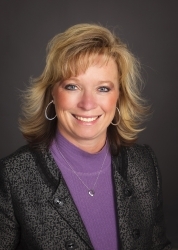 Laurie May Abraham, CFSP, CCO, is a native to the Brigham City area. Laurie graduated from Box Elder High School and Dixie State College. She received her Mortuary Science degree from Cypress College in Southern California. She became a licensed funeral director in the State of Utah in 2007, and began working with Myers Mortuaries that same year. Laurie is a member of the Brigham City Rotary Club where she has been awarded the Paul Harris Fellow Award from them. Laurie is honored to be able to lend a helping hand to families going through one of the hardest times of their lives. Bodie has worked for Tate Mortuary since 2002. He grew up in southern Utah graduating from South Sevier High School class of ’93. Bodie served mission for the LDS church in Lisbon, Portugal. After returning from Portugal he attended Southern Utah University where met and later married his wife Camille Dangerfield Topham. Shortly after they married, they moved to Cincinnati, Ohio so that Bodie could attend and graduate from Cincinnati College of Mortuary Science, earning a Bachelor of Mortuary Science degree. Bodie and Camille are the proud parents of a darling little 8 year old girl, McKenzie, and bouncing 1 year old baby boy, Bridger. Bodie is passionate about helping families, in their time of need, find peace and comfort through the funeral process. I am flattered, honored and humbled, to be asked / recommended for this position, and look forward to serving with some of the members of the UFDA that I look up to greatly and consider friends. Kent and his family are residents of Syracuse, Utah. He was raised in Southeastern Idaho and graduated from Brigham Young University studying Family Science. He also has a degree from San Francisco College of Mortuary Science, where he was president of the student body and received the Presidential Leadership Award. He received the Mu Sigma Award from the National Association of Colleges of Mortuary Science for outstanding academic proficiency. 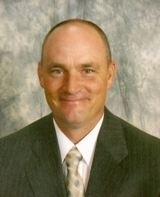 Kent has been a licensed funeral director since 1997. In 2007 Kent was recognized by the Academy of Funeral Service Professionals and received the designation of Certified Funeral Service Practitioner. Kent was a member of the State of Utah EDEN (Electronic Death Entry Network) advisory board, where he participated in the formation of Utah's Electronic Death Certification program which became effective in August of 2006. He also enjoys being a judge for the Best of State Competitions for our state of Utah. 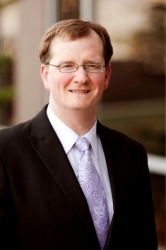 Kent was elected as a board member of the Utah Funeral Directors Association in 2008. Kent and his wife Shelli have four wonderful children; McKay, Alex, Brynnley, and Sadie. He enjoys family activities, traveling, woodworking, sports, outdoor recreation, and music. He is also active in church, civic and community organizations. Roger Hullinger is a second generation funeral director who owns the Hullinger Mortuary in Roosevelt, Utah. He grew up in the house connected to the mortuary that his father purchased in 1981. He was born and raised in Roosevelt and attended college at Southern Utah University, Utah State University and received his Associate of Mortuary Science from Arapahoe Community College in Denver, Colorado. He worked at Feldman Mortuary in Denver while attending school and has been back with Hullinger’s since 2000. Besides running the funeral home, Roger is involved in his church and the community. In his spare time (when there is some), he enjoys playing racquetball, riding 4-wheelers, boating, skiing, riding horses, and especially being with his family. He is married to the love of his life, Karie Ann, and they have two wonderfully attractive, smart, fun, fantastic children, Hunter (13) and Isabelle (11). Stephanie White joined the Utah Funeral Directors Association as the office manager in June 2017. The funeral profession is not new to Stephanie as she has been married to it for many years to David White, District I representative (2017). While she was nervous around the profession before her marriage and wouldn’t even ride in a hearse with David, initially, she has since lived at two different funeral homes in California and has become comfortable and knowledgeable about the profession that has been with her for nearly half her life. Stephanie has a bachelor’s degree in Public Relations and a minor in Marketing from California State University, Long Beach where she excelled as a student — selected by the Journalism Department as the top Journalism Department graduate of her graduating class. For 20 years, she was privileged and blessed to have the best job in the world as a stay-at-home mom to her five children, but she has kept herself busy serving at church and in the community in various capacities including eight years on school community councils, several years with the PTA (including two years as president), secretary of the Food Finders Board, and through the ranks on the UFDA spouses’ auxiliary board. She has also worked for several years as a freelance public relations consultant, primarily writing and editing articles for various magazines and annual reports, conducting market research, and formulating marketing and public relations’ proposals. She also successfully started and operated two seasonal dessert businesses for a couple of seasons. Prior to staying home with her children she worked in various jobs including: executive assistant for the regional manager at British Airways World Cargo; PR & marketing coordinator for a security camera manufacturer, where she had several articles published, including two front page placements in a security trade magazine; and for a charity as a media relations manager and event coordinator for an event with approximately 40,000 people in attendance. 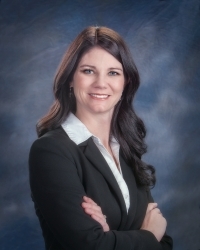 She is pleased to serve members of the Utah Funeral Directors Association in this capacity. Uintah, Daggett, Duchesne, and San Juan counties. and also includes ID and WY members. Garfield, Piute, and Wayne counties.